At Digitel we have been following the (very fast!) footsteps of a real-life superhero! 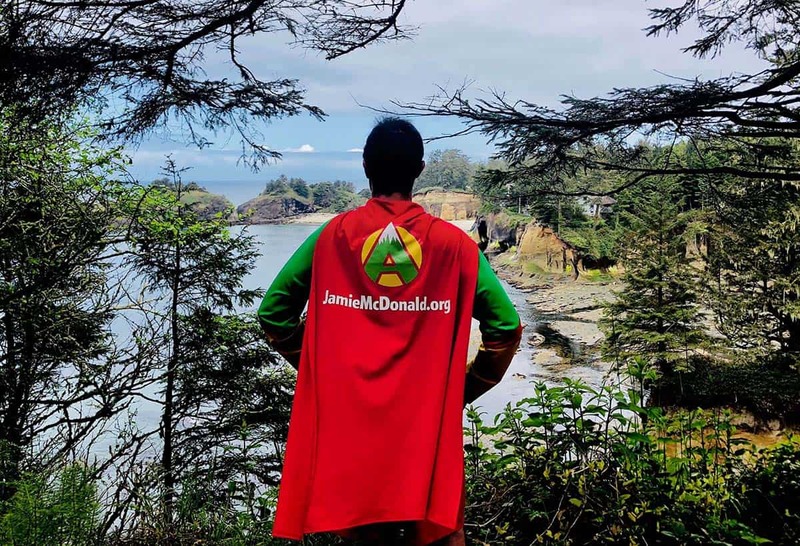 Jamie McDonald, who, like all superheroes goes by a superhero name – Adventureman. He has until recently been in America, running a whopping 210 marathons, with the aim of raising money for his charity, the Superhero Foundation, and raising awareness of the children that his charity supports. This gruelling challenge would push anyone’s body and mind to the physical and mental limits, which is why Adventureman is a true superhero – his ongoing, tireless work to raise money for children who are suffering illnesses in hospital, needing support that may not be available on the NHS, or access to healthcare that would not otherwise be easily accessible to them is his goal. Having suffered with ill health and spending long periods of time in hospital himself as a child, Jamie does not only feel passionately about helping children who are suffering from illnesses, but he also has personal experience of their situation. Jamie started to complete his amazing physical challenges as a way to make a difference to children’s lives and has won awards for his fundraising work, including the Pride of Britain award for ‘Fundraiser of the Year’. Despite being a dyslexia sufferer, Jamie has also managed to write a bestselling book documenting his amazing adventures, and he also visits schools and businesses spreading the word about his charities and sharing his story to help inspire and encourage others to believe in themselves against the odds, and to share his belief that anyone can be a superhero. At Digitel, we have been following Jamie’s progress and we are proud to support him. Not only is he a superhero, he is also a local Gloucester lad, and we feel strongly about supporting local charities and helping to raise awareness of those that they support.